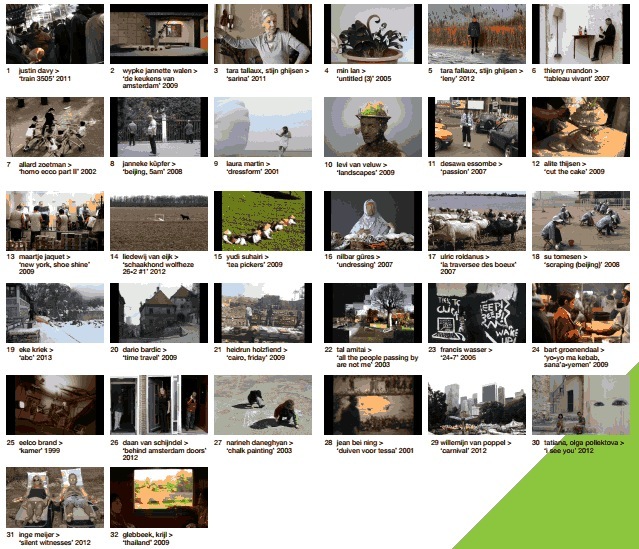 oneminute video's from the AMC-Art Collection.The One Minutes (TOM) is a brand name for moving images that last exactly one minute. It fits well in our world of looking quickly, understanding immediately and it is a response to the influence of commercials, video clips and the increased affordability of camera's, computers and access to Internet. The limited time frame forces the maker to think critically about what he/she would like to show us. The flexibility of the formula and the diversity of dissemination from the street to galleries, tv and festivals make it an attractive and accessible contemporary art form for a broad audience.